What’s a Coobie Seamless Bra? 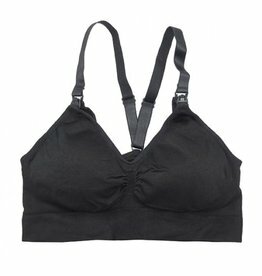 It’s simply the most amazing bra you’ll ever buy. Ultra comfortable, supportive, and inexpensive – it’s the perfect combination. The Coobie Bra provides shape and support and can be worn in place of a camisole or tank top. The Coobie Bra fits almost every body! Try one for yourself!